Ever experienced vertigo in VR? A slight sensation of floating above the floor height or quite obviously being stuck mid-air or between a solid object? Well, there is a fix for that. 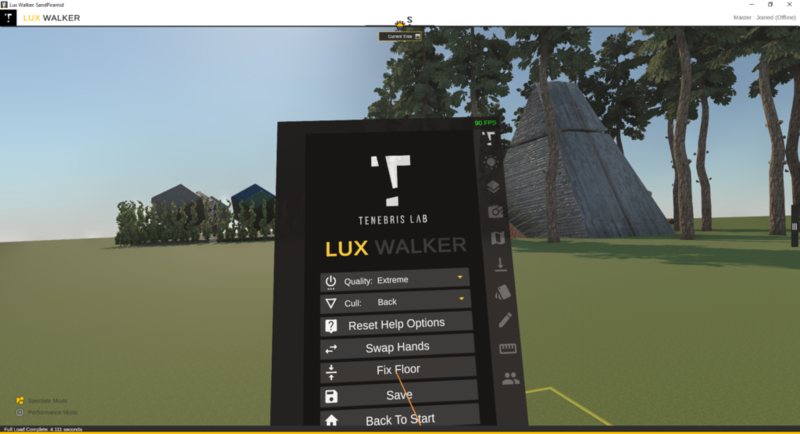 In LUX Walker version 1.3.2.2 you will find the “Fix Floor”option in the menu settings panel. 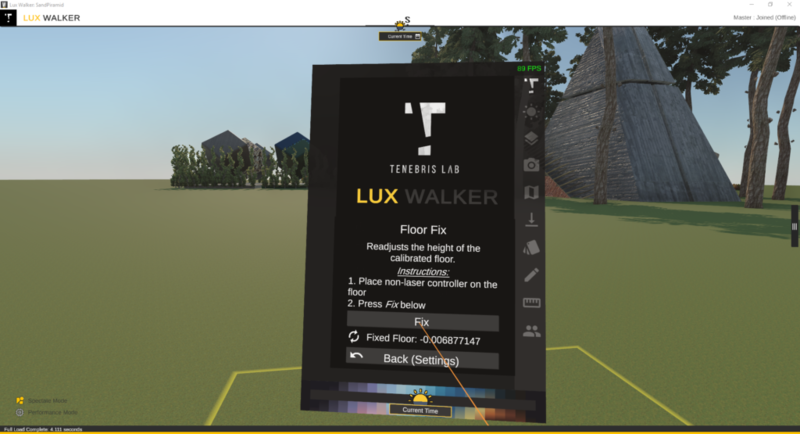 All you have to do is place your non-laser controller on the floor, and, with your laser controller, select the button “FIX” for the floor height to be calculated and re-positioned in your VR world.